Slip them on, fasten the straps and let the winter adventure begin! 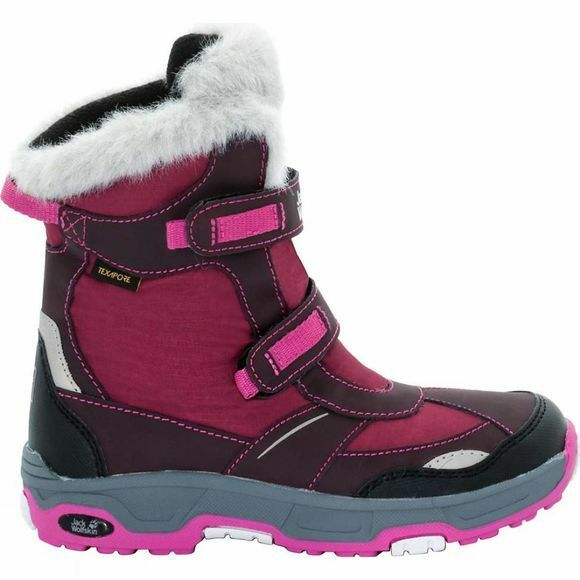 The Girls Snow Flake Texapore Boot from Jack Wolfskin is child's play to put on and take off. This winter boot has two Velcro straps, a high upper and a special anti-slip sole. The boot provides the good support that children's feet need and has a cute fake fur cuff for an added touch of winter style. A membrane keeps the feet dry and the wool-like lining keeps them warm and comfortable.